In 2002, a EUROPEAN COOPERATION has been initiated to create common teaching materials for clay plasters. Since, over 20 large and small European projects funded under Leonardo da Vinci and Grundtvig programs have worked towards providing vocational development and mobility opportunities for learners, trainers and crafts people, particularly in earth and straw bale building. -Per year, hundreds of certificates for learning outcomes in earth and straw bale building have been delivered, based on 2 overarching MoU’s. -The training offer is an exponentially expanding industry, both for short courses and long certified trainings. Certification strategies have succeeded in Czech Republic and UK and are progressing in Slovakia and in France. 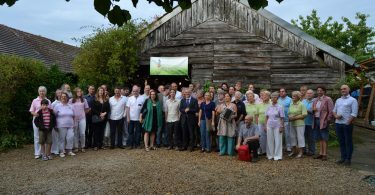 -2016 first European earth builders gathering, along with associations from 21 countries. 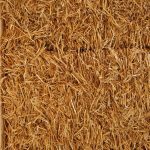 The demand for straw bale houses, earthen architecture and other natural building technologies, even in the public sector, keeps growing. Hence, there is a growing need for skilled craftspeople and for specialised trainers. a) The training centres and trainers specialised in ecological building need to strengthen their IDENTITY. – a first step towards quality assurance. b) The trainers need to be INTRODUCED to the resources and to networking at a European level. They are overwhelmed and do not know how to use the resources, they are not familiar with the complexity of ECVET and training engineering, and their English is not good enough to deal with the on-line explanations provided regarding competence standards and assessment practices. The training centres also mention their lack a global awareness of the European dynamics, the centres and qualifications they work for, and, they do not know each other ,as there are few connections between them. Finally, they lack confidence and are not at ease with theoretical content transfer. Guidelines and resources that we created are unequally accessible and translated and are scattered on different websites. We struggle to respond to young people asking about the training and assessment offer. On the other hand, german studies have shown that didactics in eco-construction are of a higher level in comparison with other teachings. This means that the competence already exists in our networks and that cooperation will allow to spread good practice. THIS IS WHY WE CHOSE THE TRAINING FOR TRAINERS AS A MAIN LEVEL TO ADRESS THE CHALLENGES WE IDENTIED. The aim is not to create another analysis of trainers’ occupations nor a whole curriculum for trainers about “how to teach, manage groups, communicate”. For this, a large range of continuous training opportunities exists on the market. We also have contact with the Erasmus+ project EsCOT that is developing a core of teaching skills for adult trainers and will provide tools by 2019. Instead, we want to set up an INNOVATIVE PROCESS. At the heart of the new tools we will create is the desire of the consortium to create a paradigm shift. As Einstein stated hundred years ago: “The significant problems we face can not be solved at the same level of thinking we were at when we created them.” Sustainable building cannot be achieved by new technology only. The new manner of thinking Einstein was referring to, includes non technical and non materialistic aspects. We believe that CHANGE is a major motivation that drives designers, builders and customers of eco-construction, that change can and should be explicitly included in the learning process and that TRUST is key for change to occur. 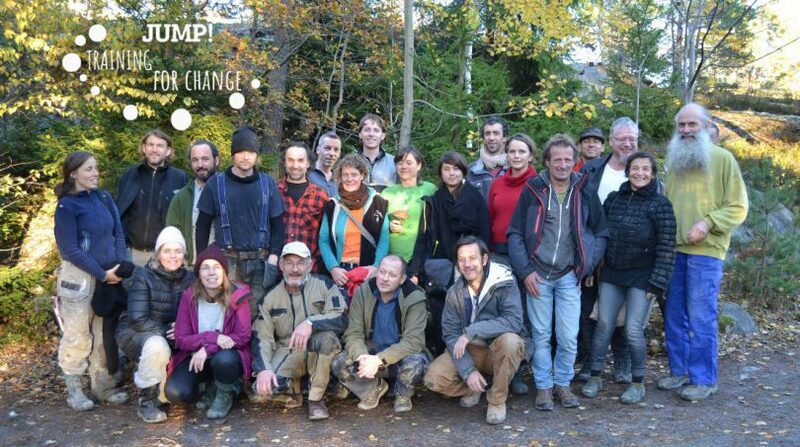 Our approach aims at providing strong identity and empowerment to trainers, training providers and the whole European eco-construction network and, as a consequence, also to learners who are the end-users. 1. To strengthen the identity of trainers and centres through a European vision of the specificities and values of vocational training for eco-construction. 3. To improve access and dissemination of resources, training and assessment offers, both for trainers and learners.